'The robots are coming for our jobs'—thanks to artificial intelligence and automation, the ubiquitous notion lurks, back of mind, for just about every member of the modern workforce, from stock trader to warehouse stocker. But the robots aren't coming; they're already here. Businesses and institutions are beginning to adopt automated systems and AI software that are driving them to slash jobs and hours right now. Yet the phenomenon is just beginning. To understand where we're headed, this talk will examine the human impact of automation through a historical lens, beginning with the first cohort of workers to lose their jobs to automation at the dawn of the Industrial Revolution—the much maligned and much misunderstood Luddites. What happens when machines are deployed to take human jobs, when those humans have few or no other options? What can be done to stop the riots and uprisings that machines have unleashed before—and when and how might we expect to see chaos again if we fail? We'll explore the answers here. 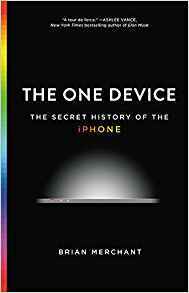 Brian Merchant is a writer, tech journalist, and author of a bestselling book about the iPhone, The One Device. He is currently at work on a second book, about the first rebellion against automation—the deeply misunderstood Luddite uprisings of the early 1800s—and what might cause the next one. He runs Automaton, a site that examines the human impact of automation, for Gizmodo, is an editor at Motherboard, VICE’s science and technology outlet, and the founder/editor of Terraform, its online fiction site. 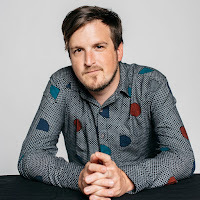 His work has appeared in Wired, the Atlantic, the LA Times, the Guardian, Slate, VICE Magazine, Fast Company, Fortune, and beyond. He lives in Los Angeles.